Grey Goose is well known for being the world's greatest tasting vodka (I can confirm it's true). It's an accolade they have earned as a result of tirelessly crafting a unique distillery process while using only the finest ingredients of spring water and the best french wheat. The end product, which we enjoy on the rocks, in a martini or in a Le Fizz, is one which is deserving of admiration. But, the brand doesn't stop with the drink itself. Grey Goose is constantly on the look out for once in a lifetime experiences to accompany the unique taste of their vodka. Over the years, Grey Goose has had a strong tie with cinema and this summer, in London, they have gone above and beyond all expectations in finding the ideal locations for a superior cocktail, made with Grey Goose of course. 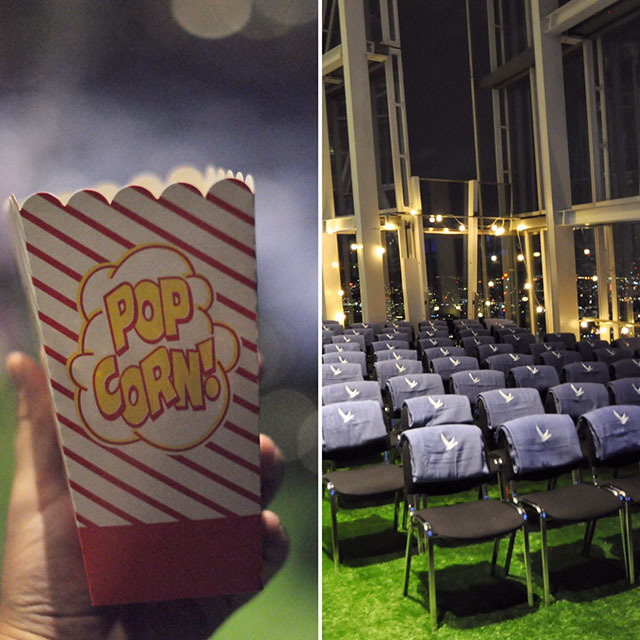 Last month I shared with you my rooftop cinema experience with Grey Goose in London. 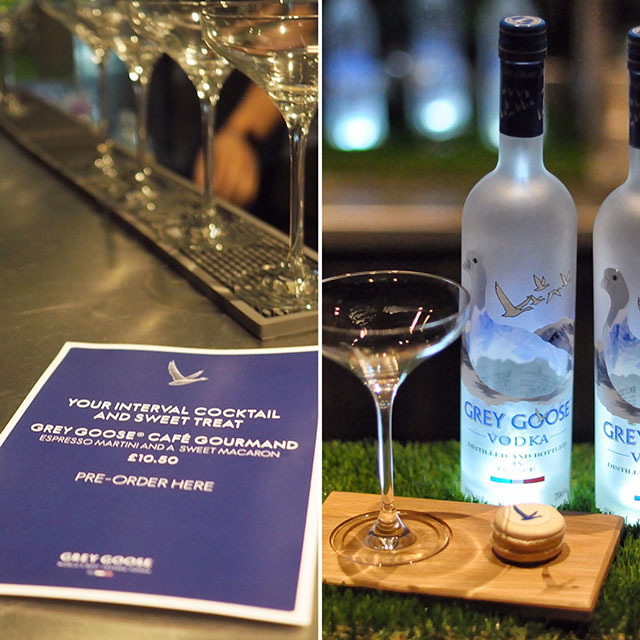 Last night, however, Grey Goose took cinema screening, on rooftops and with cocktails in hand, to a new level. 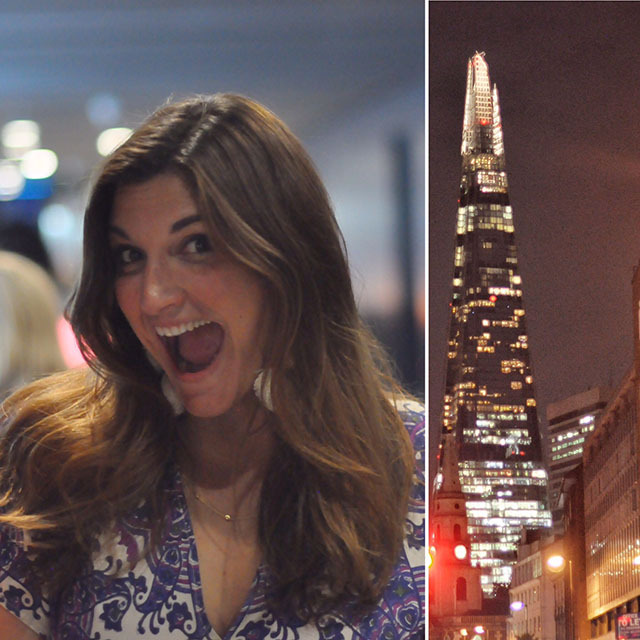 At 11pm, Mr. FFG and I found ourselves taking a lift to the top of The Shard, in London. The Shard is the tallest building in London and the fourth tallest building in Europe. In short, it's a building that is as original as the Grey Goose brand itself. 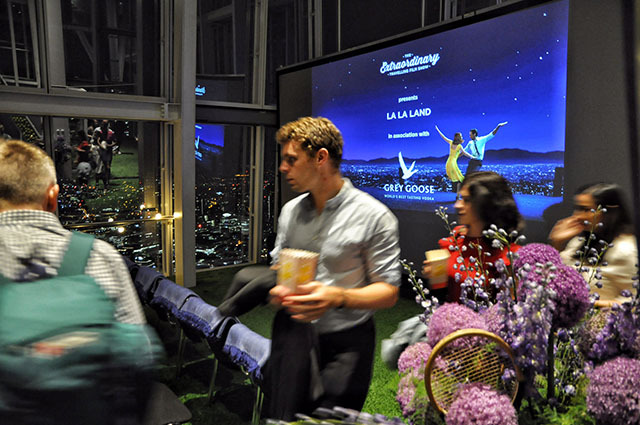 Working with The Extraordinary Travelling Film Show, Grey Goose hosted a screening of La La Land on the top of the The View from The Shard, on the 72nd floor, in the open air. So, yes, this was the first time in my life where I was watching a movie on a roof terrace 800 feet in the sky. I mean honestly how many people can say they've done that? Upon arrival, we were greeted with a glass of Grey Goose Le Fizz (basically my summer cocktail of choice). and led around the viewing area while a jazz pianist serenaded us with highlights from the film. Following our Le Fizz with a view, we made our way up to the viewing platform. As we stepped out onto the astroturf covered floor we immediately noticed a change in air. It was a balmy night in London so the height worked to our advantage. It was the perfect temperature for sitting 72 floors above the city for a viewing of an Oscar award winning film. Popcorn was provided, along with Grey Goose embroidered blankets on every chair and a promise of a special intermission treat. We settled in to enjoy the show with a view of London that is truly unparalleled. Lights twinkled in every direction and the soundtrack to La La Land proved to be a perfect accompaniment to the moment. One hour into La La Land, an intermission was called. Seeing as it was 1am at this time, Grey Goose had the perfect drink planned to see us through the second half. Espresso Martinis waited for us at the bar. Talk about the ideal interval. After just one sip, I was ready for round two. 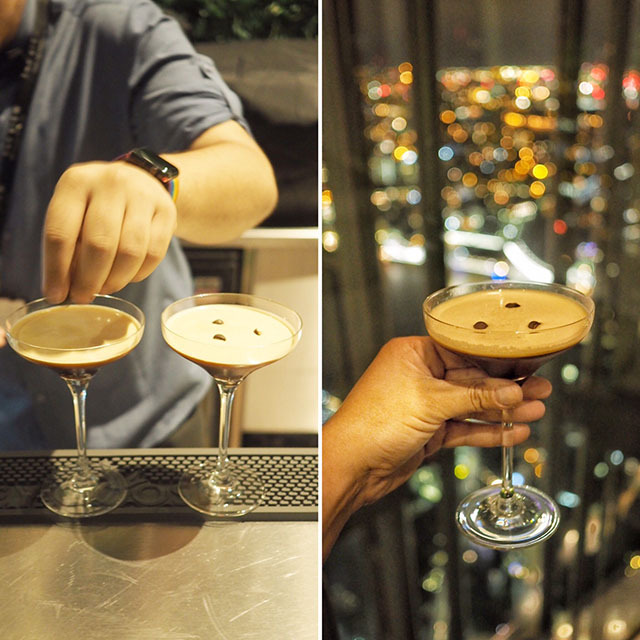 We sipped our Grey Goose espresso martinis and again marvelled at the view down below. When we left the screening, we talked at length at the magic that came with such an event. We spoke of the atmosphere, the luxurious nature of it all and the fact that such an event is perfectly complemented by a brand such as Grey Goose. I then started to tell Mr. FFG about the history of Grey Goose and the incredible man that is behind it all - Francois Thibault. I got goosebumps, no pun intended, as I was reminded of an advert that played in cinemas in years past, as an advertisement for Grey Goose. I was lucky enough to meet Monsieur Thibault last month at Le Logis in France, the home of Grey Goose, and I was inspired by a man that had vision, compassion and drive. He also, starred in the advert I was waxing lyrical about, which I'd love to share with you now. If this doesn't inspire you, I don't know what will. 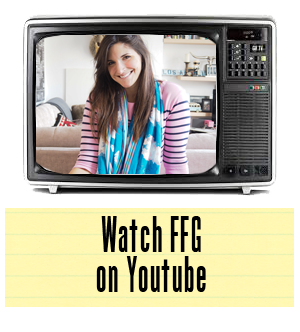 Here's a little cinema experience for you, which I think you'll enjoy even more with a Grey Goose Martini in hand. Remember, the Grey Goose Summer cinema series runs through September in London and offers a plethora of unique experiences that are not to be missed! 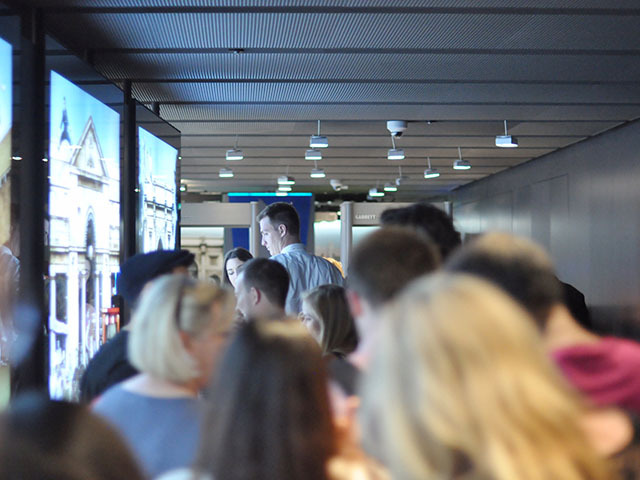 To keep up to date with future Grey Goose events at The Shard, visit The Extraordinary Travelling Film Show. For future films at The Bussey Building in Peckham, visit Rooftop Film Club. Written in collaboration with Grey Goose.